Today the idea of investing in property for sale in Greece is not so unhealthy, especially considering the particular situation facing the Greek economy at this time, also in view of the next year forecasts. The economic crisis has done a lot of damage in the Hellenic country, the incomes have fallen and the economy, in general, has collapsed. There was the problem of closed banks and capital controls to prevent their escape. All of this has led to a reduction in property for sale costs in Greece and, consequently, to an increase in the number of people who are thinking of turning to Greece for their investments. 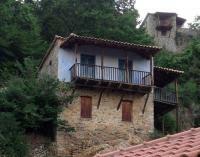 At the moment there are 250,000 unmarked properties for sale in Greece on the market and, according to some websites, the number will grow in the next period as a consequence of the fact that the market has been paralyzed in recent years, due to the already mentioned economic crisis, but also for “Grexit” and the feared return to the drachma. The Greek situation, although lately we talk less on TV and in newspapers, is not yet simple. Country is returning to growth but hardly and slowly. Economy does not turn and many people have had to leave their homes. Someone who already had two homes, often he has the second home empty because there is no way to rent it, or at least there are risks of rent but not to be paid as much as due. Considering all this factors, we can say that investing in properties for sale in Greece today is certainly not simple, as mentioned, the situation is improving but there are still risks to be taken into account. Among the best places to live and invest in property for sale in Greece you will not find Athens that is very chaotic and confusing, it is preferable to Kos, Lesbos, Zakynthos and Santorini that have to offer many opportunities. 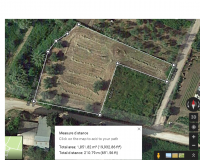 Plot in the area of Samatiki LEONIDIOU. It is on the front road is buildable. 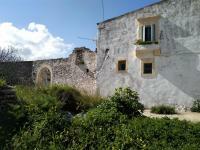 Plot 650m2 with old stone-built House and excellent views. 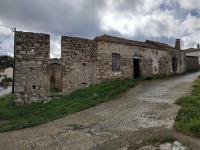 The property is located 4 km from the main airport and 14 km from the port of Kythira.